Dr. Rex Yannis, Plastic Surgeon located in Chattanooga, TN joins eHealth Radio and the Plastic Surgery Information Channel. Dr. Yannis is the founder of Center for Facial Rejuvenation and is here to talk about being the “eye expert” for lifts and facial cosmetic surgery. What makes you the “eye expert” for lifts and facial cosmetic surgery? What is the difference between an eyelid lift and a brow lift? What are your recommendations for someone seeking surgical facial rejuvenation? What do the procedures and recovery processes entail? What are some alternatives to surgical facial rejuvenation? 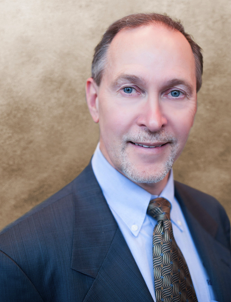 Dr. Rex Yannis has over 20 years’ experience in ophthalmic plastic & facial cosmetic surgery. He specializes in orbital, lacrimal and eyelid surgery, eyebrow and forehead surgery as well as other facial cosmetic surgery. Dr. Yannis also has extensive experience with lasers and light based technology, dermal fillers, medical and Cosmetic Botox injections, and Autologous Fat Transfer. Dr. Yannis will be seeing patients in our Chattanooga and Athens office.